Comments: Its flowers are quite showy. The larvae of a moth eats the leaves of the plant. These larvae, called catalpa worms, are prized as fish bait. Grows fast, but does not bloom for several years. 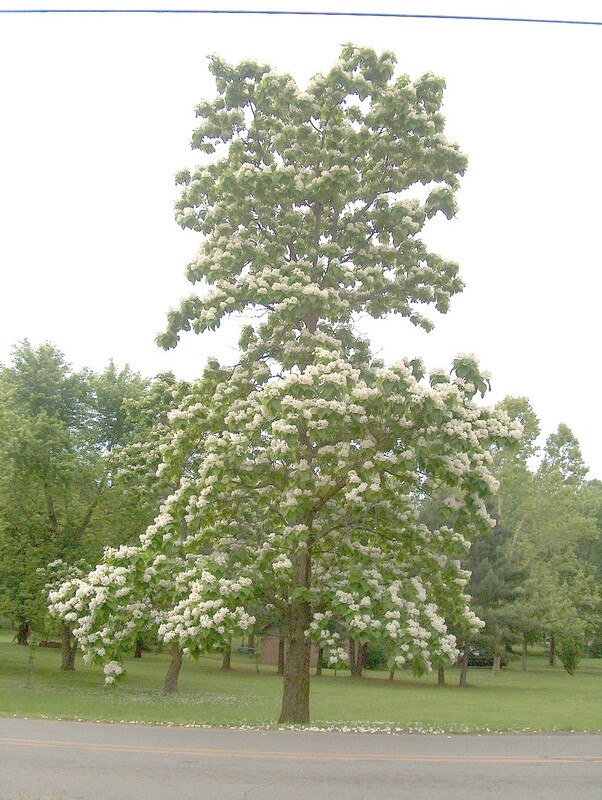 Can be a messy tree in manicured landscapes, but makes a good open lawn specimen tree. Can be a long-lived tree, but trees become rangy and open with advanced age. Very popular in European landscapes. Leaf diseases can sometime be a problem.